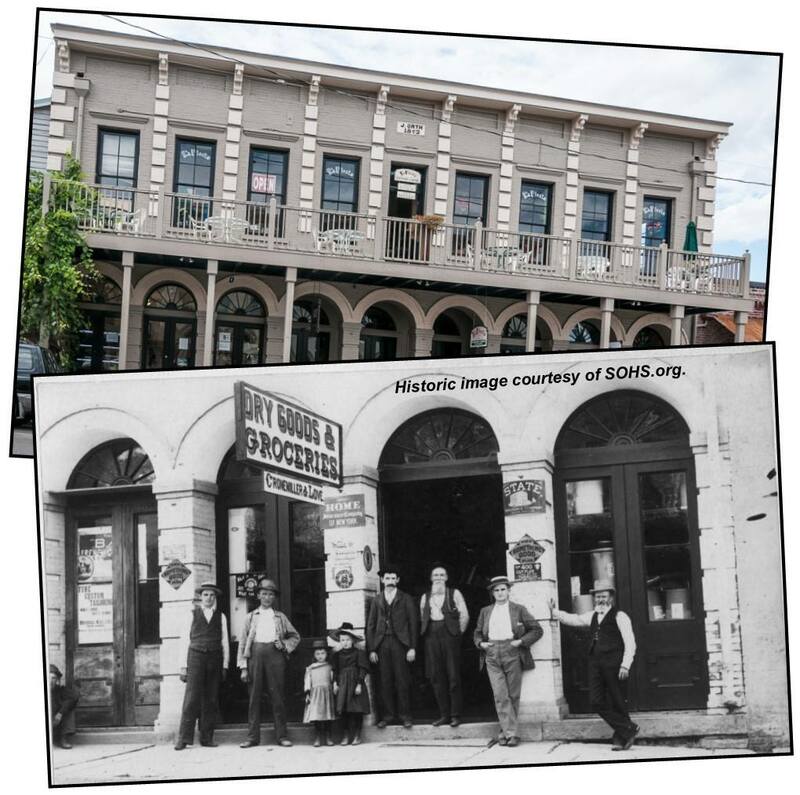 James Cronemiller | Historic Jacksonville, Inc.
James Cronemiller was born in 1863 a year before his father, blacksmith David Cronemiler, moved the family to Jacksonville. James initially followed in his father footsteps, working in the family smithy at the northeast corner of California and 3rd streets. An ambitious young man, James soon went out on his own. In partnership with George Love, he operated Cronemiller & Love from at least 1896 to 1899, offering dry goods and groceries. It was one of the many businesses that occupied the 1872 Orth Building on South Oregon Street. In this historic photo, you can see John Orth on the far left, James Cronemiller (3rd man from the left), and George Love (2nd man from the right). More on James next week as he becomes a notable public servant. Bank "Secrets & Mysteries"Bank "Secrets & Mysteries"